Most people in India and in the world, including religious leaders and saintly persons today, are unaware that although God resides in everyone's heart in His extended form as Paramatma, He also resides eternally in the spiritual world in His original form, Bhagavan. Due to lack of this information, they end up spreading inaccurate understanding of God, thus unknowingly misleading their innocent followers. We know God is the one who created all of us. Fine, but then how come we hear that He has father, mother and elders? Isn’t He the original person? Some say that when God comes to this world, He enacts different pastimes and some personalities like Lakshman and Balarama appear as His elder brothers. 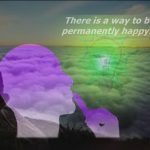 Even then, the question is, who are those greatly fortunate personalities playing such an important role as God’s elder brother, and what happens to them when God winds up His visible pastimes? Do they go back with the Lord? And if they do, where do they all go? These, and many such questions, may sound childish or unnecessary, but in reality they are extremely important questions. To know God does not only mean to know that He exists and that He is great. To know God means knowing His transcendental personality, His surroundings, His abode, His friends, His family members, His likes, dislikes, His divine forms, His pastimes, His pure, unalloyed devotees, or eternal associates, and so on. Sri Balarama is well known as Krishna’s elder brother, but He is not a temporary elder brother Lord Krishna – He is His eternal elder brother. 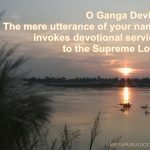 This can easily sound contradictory to the very definition of God but the most wonderful thing about God is, He accepts His devotees as His superiors. Not only during one of two incarnations but He accepts them as His eternal superiors. 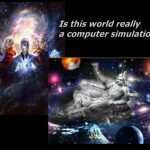 To understand this, first we need to realize that the Supreme Lord, or God, is a person; a real living person like us but far more superior to us, beyond imagination. As oppose to our bodies, His body is fully transcendental, full of eternity, knowledge and bliss. Lord Krishna is accepted by all Vedic scriptures as the Supreme Personality of Godhead having His eternal abode in Goloka Vrindavan in the spiritual sky. It is clearly mentioned in Brahma Samhita- goloka eva nivasati akhiatma bhuto govindam adi purusham tamaham bhajami. That the Supreme Lord Govinda, or Krishna, eternally resides in Goloka dham and He is the super soul of all souls. He Himself expands into different Vishnu forms and among those innumerable Vishnu forms, Lord Balarama is His first Vishnu expansion. So although Balarama is Krishna’s elder brother, He is always engaged in serving Krishna. 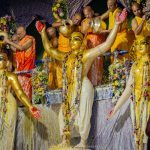 Srila Prabhupada explains in Sri Chaitanya Charitamrita that Lord Balarama, as the chief of the original quadruple forms, is also the original Sankarshan. Balarama, the first expansion of Krishna, expands Himself in five forms: (1) Maha-Sankarshan, (2) Karanodakashayi Vishnu, (3) Garbhodakashayi Vishnu, (4) Ksirodakashayi Vishnu, and (5) Shesha. In the same Sri Chaitanya charitamrita, Srila Prabhupada gives us the following information on Lord Balarama. “The Supreme Personality of Godhead, Krishna, is the fountainhead of all incarnations. Lord Balarama is His second body. “These two are one and the same identity. They differ only in form. Lord Balarama is the first bodily expansion of Krishna, and He assists in Lord Krishna’s transcendental pastimes. 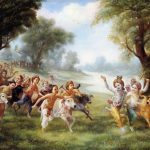 “Balarama is a svamsha expansion of the Lord, and therefore there is no difference in potency between Krishna and Balarama. The only difference is in Their bodily structure. As the first expansion of Godhead, Balarama is the chief Deity among the first quadruple forms, and He is the foremost assistant of Sri Krishna in His transcendental activities. “Lord Balarama is the original Sankashan. He assumes five other forms to serve Lord Krishna. He Himself helps in the pastimes of Lord Krishna, and He does the work of creation in four other forms. He executes the orders of Lord Krishna in the work of creation, and in the form of Lord Shesha He serves Krishna in various ways. Most people in India and in the world, including religious leaders and saintly persons today, are unaware that although God resides in everyone’s heart in His extended form as Paramatma, He also resides eternally in the spiritual world in His original form, Bhagavan. Due to lack of this information, they end up spreading inaccurate understanding of God, thus unknowingly misleading their innocent followers. Having detailed information about Lord Krishna and His expansions like Lord Balarama and other Vishnu incarnations helps one understand God better. It is the greatest fortune of human beings today that the original Lord Krishna appeared in Navadvip, India, as Lord Chaitanya, and Lord Balarama appeared with Him as Lord Nityananda just a few more than 500 years ago. The present-day Hare Krishna movement was inaugurated by Lord Chaitanya Himself for saving the mankind from the onslaughts of Kaliyuga. 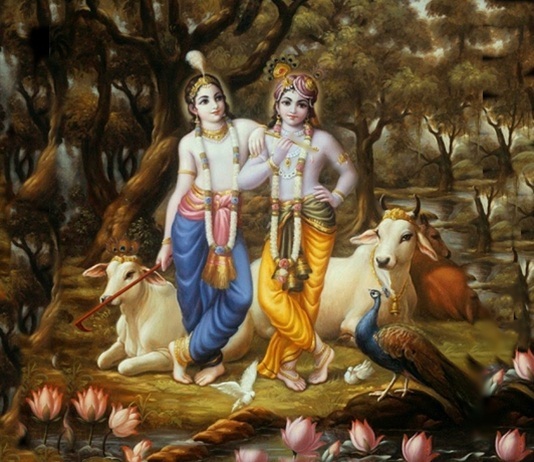 Today, on this most auspicious day of Lord Balaram’s appearance day, known as Sri Balaram Jayanti, or Balarama Purnima, we pray that the world leaders recognize their ongoing failures on various fronts in their attempts to bring peace to the planet, and, instead of misleading the mankind towards atheism in the name of secularism, promote surrender to Lord Krishna, the Supreme Personality of Godhead, as that is the most easiest and surest way to achieve peace in the world. Hare Krishna.